I found this great icon ultra flat orange icons and I added it to the github of Erik Dubois for ease of future installations. 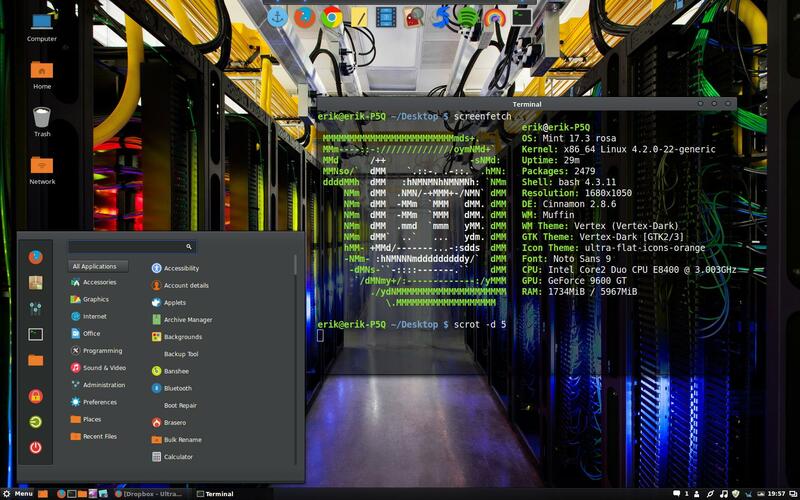 This is the look you can have on your Linux Mint 17.3 Rosa. You can see in the above picture that there are no icons for Backup Tool and Boot Repair. Depending on the version you have of theme, this will vary. Since I liked the theme a lot. I made sure that all icons were displayed properly. How to make sure that all icons that were meant to be seen, can be seen. 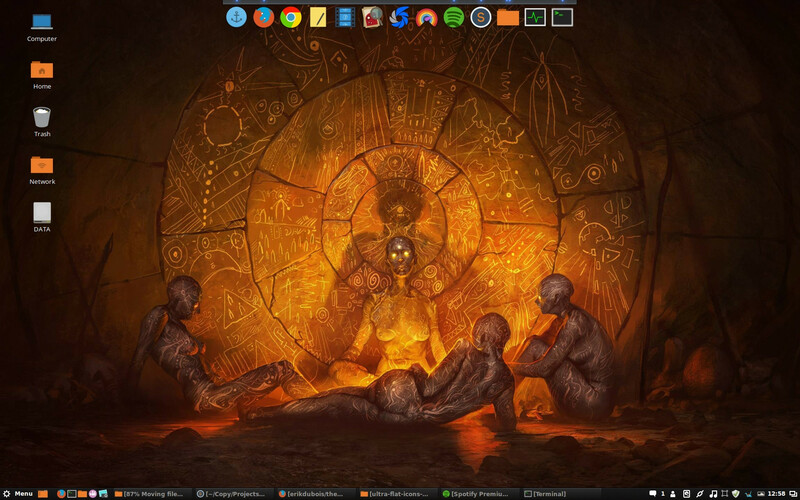 These tutorials apply of course on any linux distribution and any icon theme. Before trying to fix everything by hand, I first run a script that will automate this task for me and do the rest. This automated script is described in this article. To undo the script is described here. Now you are ready to follow the tutorials. The above image had no icon for Backup Tool and no icon for Boot Repair. After following the tutorials you will know how to do it. After all the work, sit back and enjoy.